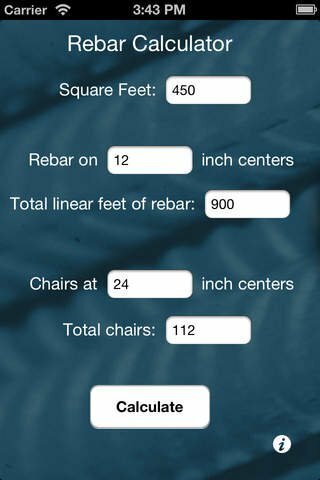 This app is a simple app to calculate the number of linear rebar needed based off square footage of concrete. It also calculates the number of chairs needed. You can purchase the iPhone/iPad applications above in Apple Store through iTunes. Requires iOS 5. 0 or later. Compatible with iPhone, iPad, and iPod touch. * Rebar Calculator download link provides trial version of the software. 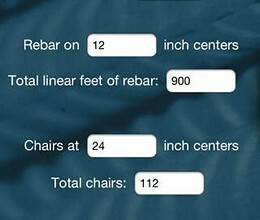 Rebar Calculator has been rated 2.0 out of 5 points. A total of 1 votes cast and 0 users reviewed the software.